This is the Nielsen-Massey Vanillas prize that you can win! Since I was sent the Nielsen-Massey Vanillas Madagascar Bourbon Pure Vanilla and their Pure Lemon Extracts plus their A Century of Flavor cookbook for this review and giveaway, I made my favorite pound cake in two delicious varieties. 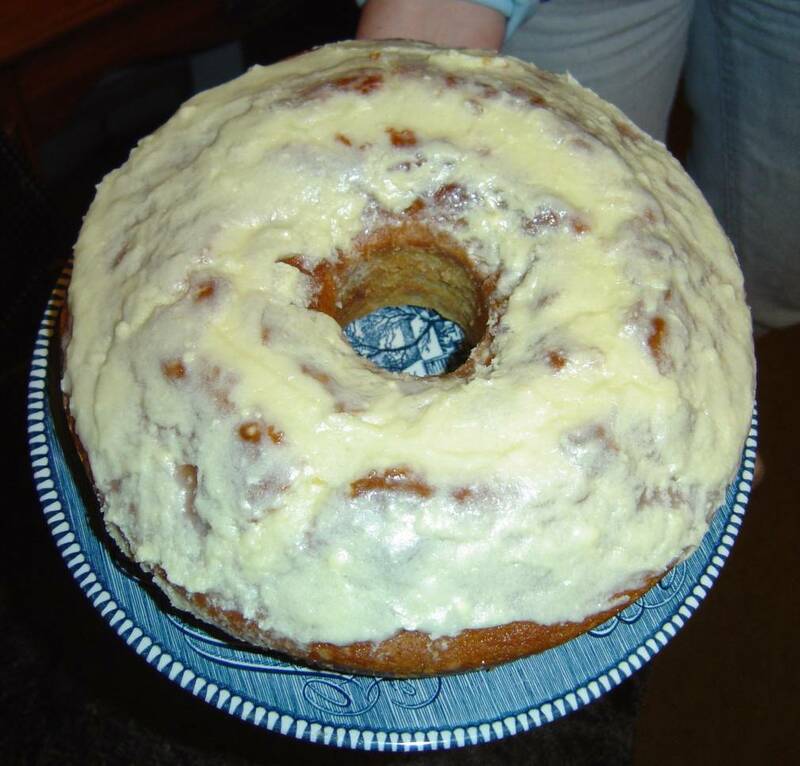 I made one in lemon and another with their Bourbon Vanilla instead of my regular vanilla for my Lemon Pound Cake and Bourbon Pound Cake recipes. Sometimes, I make this recipe as a plain vanilla cake and was curious what their Bourbon Vanilla would do to enhance an already fabulous tasting cake. This extract turned something already delicious into beyond description with the added intensified mingling of pure vanilla and bourbon, a perfect marriage for this fine-grained pound cake! My guess is their cold extraction process is how they get the most flavor out of those certified organic vanilla beans. Later that week, I made another pound cake using my same recipe. This time I turned it into lemon in this recipe that I am featuring. Even though I use pure lemon extract, I didn’t expect too much difference. And yet, the lemon taste was multiplied to new extremes with Nielsen-Massey Vanillas Pure Lemon Extract. I do hope you try my pound cake because it is wickedly delicious either way you make it! My Lemon Pound Cake tastes delicious plain or frosted. Cream margarine with sugar. Add the eggs, one at a time. Sift flour, salt, and soda. Add to the creamed mixture alternating with buttermilk or sour milk. Add the lemon juice and extract last. Pour into a greased 10-inch tube pan and bake for about one hour or until a toothpick inserted comes out clean. juice of 1 lemon or a few tablespoons of bottled to beat and drizzle as the topping. The only thing different is to take out the lemon juice, lemon extract, and substitute one teaspoon of Nielsen-Massey Vanillas Madagascar Bourbon Pure Vanilla Extract for the cake batter when making this version. Follow the above glaze except add three tablespoons of milk in place of the lemon juice and add one teaspoon of Madagascar Bourbon Pure Vanilla Extract. I do suggest trying their products and see for yourself how much better your recipes will turn. To find out where to buy Nielsen-Massey Vanillas products, then click here. Thanks to Nielsen-Massey Vanillas, one lucky Nuts 4 Stuff reader in the United States or Canada wins a bottle of Nielsen-Massey Vanillas Madagascar Bourbon Pure Vanilla Extract ($7 value), a bottle of Pure Lemon Extract ($7 value), and A Century of Flavor hardcover cookbook with the company’s best recipes from their 100 year history ($27.95 value) for a total of $41.95! 2. Go to Nielsen-Massey Vanillas and tell me which product you would love to try first or something you learned from the site in another comment. This giveaway ends February 13, 2012 at 12 PM Eastern Standard Time. The winner will need to respond to my email with name and shipping address within 48-hours or another winner will be picked. Follow in Rss reader feed. Would love to try the Pure Chocolate Extract. I would like the Pure Almond Extract. I really want to try the Pure Chocolate Extract. I follow you on GFC already as Heather Poindexter. 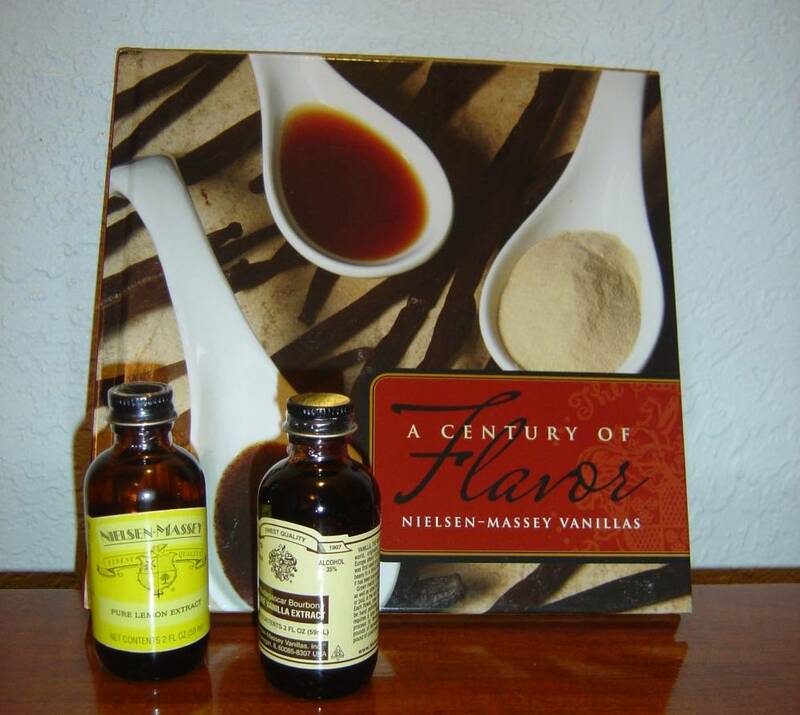 Nielsen-Massey Vanillas is proud to announce that its Madagascar Bourbon Pure Vanilla Bean Paste was a 2011 sofi Gold Winner for the NASFT sofi awards in the “Baked goods, baking ingredient or cereal” category.Congratulations! I'd love to try it. 1) "Like" Nielsen-Massey Vanillas on Facebook – Theresa A. 2) "Like" Nielsen-Massey Vanillas on Facebook – Theresa A. 1) like Nielsen-Massey Vanillas on facebook – Theresa A. 2) like Nielsen-Massey Vanillas on facebook – Theresa A. 1) Like" Nuts 4 Stuff on Facebook – Theresa A. 2) Like" Nuts 4 Stuff on Facebook – Theresa A.
I would like to try the Tahitian Vanilla. I would love to try Rose Water -I've seen it used on a cooking show and it sounds exotic and fabulous! I use a lot of vanilla. I would like the Chocolate,or Almond flavor. I would love to try Pure Chocolate Extract.ATREAU at GMAIL dotcom. I would love to try the Madagascar Bourbon Pure Vanilla Sugar. Liked your page on fbJessica K.
I learned that the company is located in Waukegan, Illinois. I would like to try the chocolate extract. I like Nielsen-Massey Vanillas on Facebook. I like Nuts 4 stuff on Facebook. I tweeted the requested message on Twitter at https://twitter.com/#!/likwan/status/169107683671162880.